Rare Capri Model Spotted on Streetview. Last edited by Andrew 2.8i on Sun Sep 16, 2018 10:43 am, edited 1 time in total. 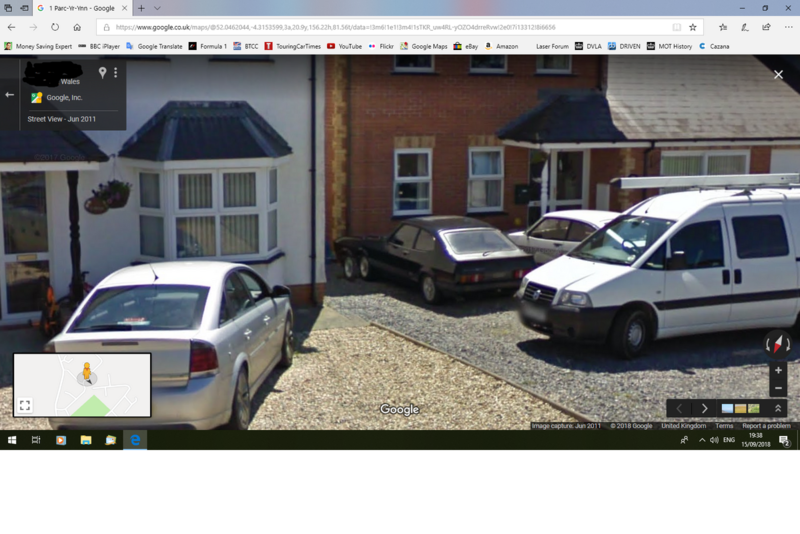 Re: Rare Capri Model Spotted on Streetview. I had one of those back in the day.....used to have to put paving slabs etc etc ! Think the wheels on them are worth £2000 each . Good point, and one I took into consideration when I posted the photo. However, I didn't bother editing the address as the street view images were captured in 2011 and both Capris have long since gone. Last edited by Andrew 2.8i on Sun Sep 16, 2018 11:46 am, edited 1 time in total. Well spotted can’t say I even noticed a address but some of the street views are well out of date . As they still have my mother in laws knickers on the line in her street shot and it looks like a very large tent from Space . Apparently each set of front wheels had its own steering wheel too. It did make it a bit difficult to drive but back in the day people were tougher and of course it encouraged people to car share so qualified for a reduction on road tax. 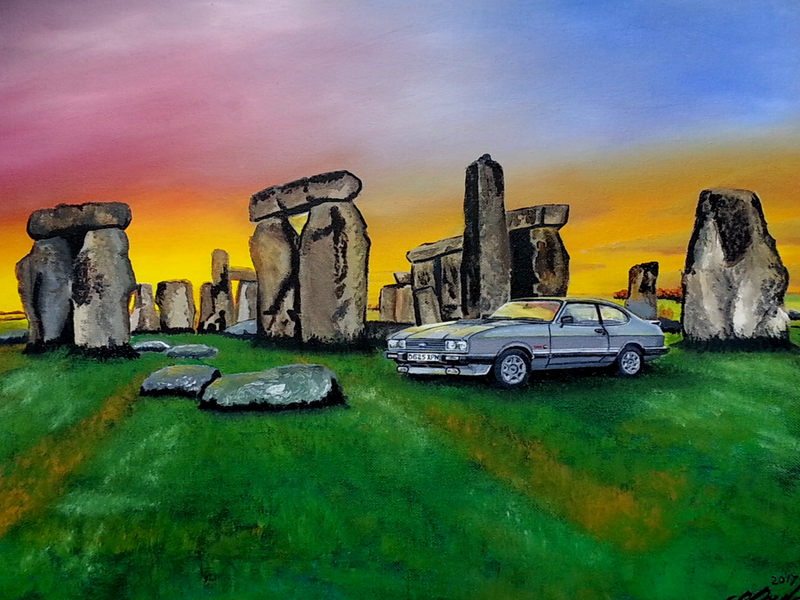 That car belongs to David Dickinson. That was the wheel deal. Not_Anumber wrote: Apparently each set of front wheels had its own steering wheel too. It did make it a bit difficult to drive but back in the day people were tougher and of course it encouraged people to car share so qualified for a reduction on road tax.